Are you hoping to travel to the United States over the coming year to carry out primary source research for your thesis? The Rothermere American Institute is currently accepting applications for their 2014 Travel Awards, and you have one week left to apply! The library will be open as normal on Monday 26th May, 9am-7pm. Full details of opening hours for the bank holiday across the Bodleian Libraries may be found on the Bodleian website. This course covers how to find and convert geospatial data and prepare it for digital mapmaking in ArcGIS. This is the preliminary stage of GIS work – see ArcGIS Desktop for training in mapmaking itself. I’ll be running a course on sources for US History as part of the WISER series next Monday (12th May) at 11am. This session is designed to provide an overview of the sources available in Oxford and online for those researching US history, and is a good general introduction for those either starting their research on US topics or for those who want to know more about the range of print, microfilm and electronic resources we offer. The session will take place in the Abbot’s Kitchen training room at the Radcliffe Science Library. Please register at http://courses.it.ox.ac.uk/detail/TZE9 if you wish to attend. The library will be open as usual on Monday 5th May, 9am-7pm. Most Bodleian Libraries will also open for their usual term time hours on Monday, but a list of exceptions may be found on the Bodleian website at http://www.bodleian.ox.ac.uk/notices/2014/apr-30. 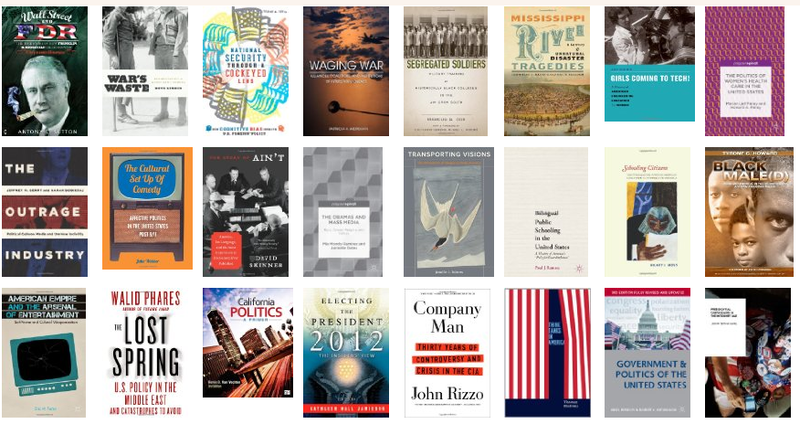 The new books received in the library during April may now be viewed on our LibraryThing page.